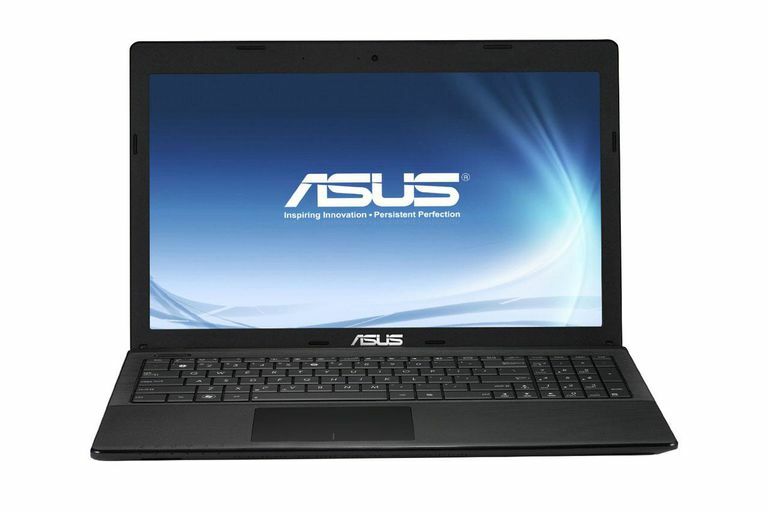 ASUS still produces its X series of laptops but the X55C models have been discontinued. It may still be possible to find used versions of this laptop but most consumers would be better off looking into more current laptops priced under $500. Apr 3, 2013 — The ASUS X55C remains one of the better-priced laptops on the market and they have tried to update a few of the features but a number of the issues that plagued the design still remain. The problem is that most of the competition has either caught up or surpassed ASUS in terms of battery life, peripheral ports or storage. The system still works fine and does have the advantage of Bluetooth which many low-cost laptops lack but it would have been nice to see ASUS do a bit more. 14.9" x 10" x 1.3" @ 5.4 lbs. Apr 3, 2013 - ASUS did little when it released its X55C laptop which is a minor update to the previous X54C model. It still features the same basic laptop chassis with its screen, interface ports and the traditional raised keyboard rather than isolated keyboard design. This is probably the biggest feature that the company could address but it would mean retooling the design and it is designed to be low cost. The X55C features that same Intel Core i3-2370M dual-core processor that was featured in the X54C. The only difference here is that the memory has been dropped from 6GB down to 4GB to keep the costs down a bit. This won't impact many basic users that browse the web, watch media or do productivity software, especially with Windows 8 improved memory handling. The only downside is that this will reduce the multitasking capabilities a bit. Those looking to get a bit more out of it will likely want to upgrade the memory to 8GB. Storage features actually improved with the ASUS X55C as the hard drive has increased from the previous 320GB to a larger and more industry standard 500GB for this price range. This means that it can hold roughly thirty percent more than the older version but it doesn't really have any advantage over other laptops in this price range that offers the same size. If you do need to add more storage space, there is still the USB 3.0 port for use with high-speed external drives. Also included is a dual-layer DVD burner for playback and recording of CD or DVD media. The graphics and display for the X55C remain completely unchanged. This means the 15.6-inch panel features your typical 1366x768 native resolution and very limited viewing angles and color which is typical of many low-cost laptops. The graphics also use the same Intel HD Graphics 3000 that is built into the Core i3 processor. This is fine for your basic computing work but it offers very limited 3D performance such that it can't be used for gaming and does not allow for any acceleration on non-3D applications beyond video encoding with Quick Sync enabled applications. One positive change for the X55C-DS31 is the introduction of a Bluetooth radio with its wireless networking. This allows it to use compatible Bluetooth wireless peripherals as well as syncing with many wireless phones which are nice to see as most low-cost laptops lack this feature. The battery pack for the ASUS X55C uses a six-cell 47WHr battery pack which is an improvement over the previous 4-cell version in the X54C I looked at previously. In digital video playback testing, this results in a three and a half hours of running time which is a good hour over the previous model. The downside is that this is still slightly below what some of the newer Ivy Bridge-based budget laptops can achieve with their improved power usage or models that use less power hungry ultrabook class processors. For instance, the old HP Envy Sleekbook 6 can reach up to five and a half hours thanks to its larger battery and lower power processor. Priced around $450, the ASUS X55C is certainly a very affordable option. The problem is that while there were some nice changes, ASUS hasn't done enough to really set itself apart from the competition. It isn't that hard to find similar laptops for roughly the same price plus it is relying on some older processors. Dell's new Inspiron 15 is more affordable but sacrifices a bit or performance for better battery life. HP has done the same with its Pavilion 15 but it does cost more. Lenovo's G580 can use the new Core i3 for added performance for just a slightly higher price tag. Finally, Toshiba's Satellite L855 can be found for less and it even has a larger hard drive. Could a Mini Chromebox Replace Your PC or Streaming Box?